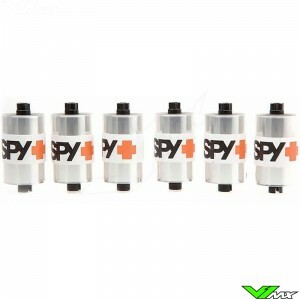 SPY optics is a manufacturer of high-quality optical equipment for extreme sports. The SPY motocross goggles are rigorously tested by the best motocross riders in the world. This has led to several improvements of the new SPY goggles. An important improvement is the increased field of view for some of the goggles. Also new technologies are used for optimum cooling of the riders face. 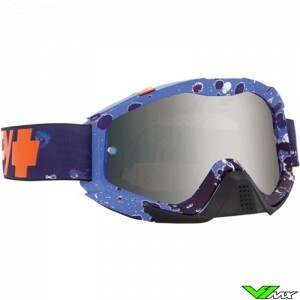 All SPY motocross goggles feature an anti-fog and scratch resistant lens that is offers 100% UV protection. 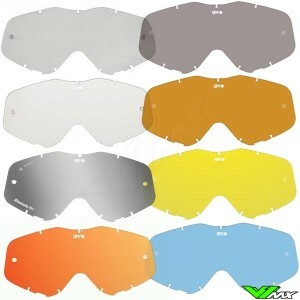 The SPY goggles collection consists of multiple lines with difference in price and features. The most advanced one is the SPY OMEN goggle, it is equipped with a special ventilation system which increases the cooling and an increased field of view. The Klutch and MX Whip are the intermediate category when it comes to the price. 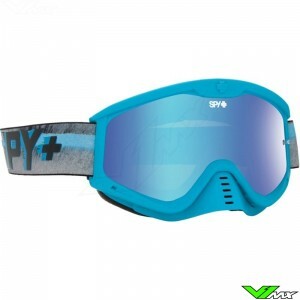 Yet you come nothing short with these SPY motocross goggles. With both lines you get a ventilation system and optimized lens for the best view during riding. 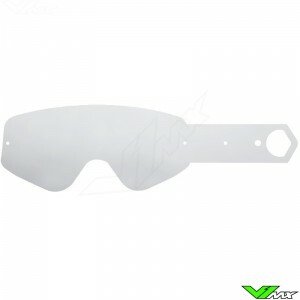 The SPY Targa 3 goggle is the cheapest line.